Play&Sound® series is an integrated audio system that has been designed for an easy installation. 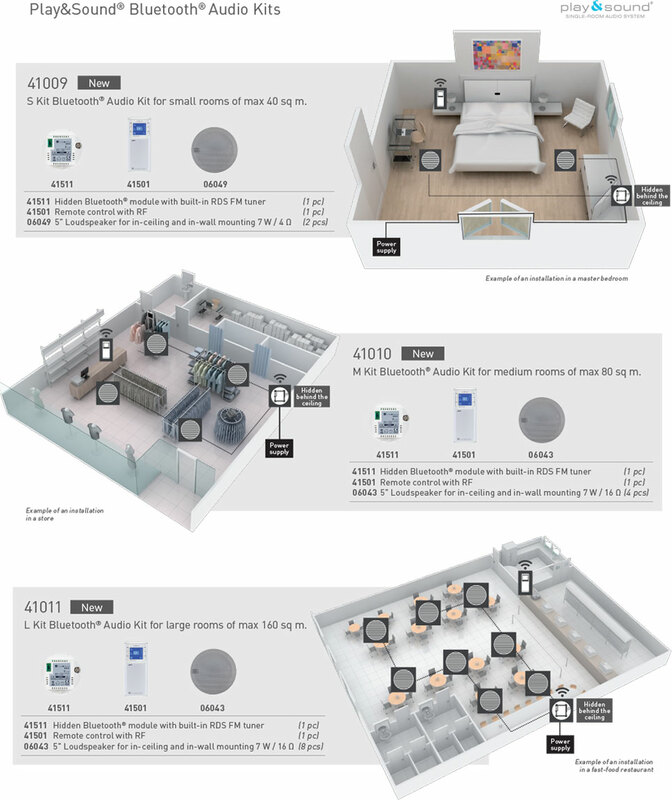 This single-room system is perfect for homes and businesses. Play&Sound® provides high quality audio with Bluetooth® technology so you can enjoy your favourite music whenever you want. Just embed and connect to the mains, and then pair your Bluetooth® device to the system so you can enjoy the Play&Sound® experience. The system comes with FM radio tuner and RF remote control. Play and sound, my space, my music. Air Radio Kit with Bluetooth® and remote control– Stand-alone FM-RDS radio tuner. – It plays audio from any Bluetooth® device (hidden module behind the ceiling). – Aluminium grille for in-ceiling or in-wall mounting. – Power supply at 230 V.
– Stand-alone FM-RDS radio tuner. – 2 5” ceiling stereo loudspeakers. 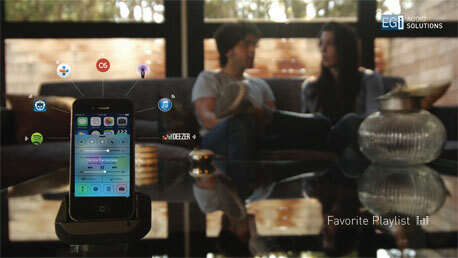 – It plays audio from any Bluetooth® device. – 2 3” ceiling high quality loudspeakers. – 8 5” ceiling stereo loudspeakers. – 4 5” ceiling stereo loudspeakers.